WordPress is easy to get started with, but that initial simplicity can be deceptive. You may not realize at first how complex and flexible the platform can be, or how vast its community is. There’s a lot to learn about WordPress – but where should you start? It isn’t difficult to find resources about WordPress online. There are tutorials, wikis, dedicated courses, and plenty of blogs (like the one you’re on right now). Much of this content is as free as the platform itself and provides information for everyone from beginners to developers. In this post, we’re going to highlight five excellent places where you can learn about WordPress. Let’s begin! What it is: We’d be remiss not to start with the official source of knowledge about WordPress – the WordPress Codex. This is a wiki-style knowledge base located on WordPress.org, maintained and kept up-to-date by the community. What you can learn there: If you’re looking for basic information about the platform, or tutorials on how to perform specific tasks (on the code level), the Codex can help you out. It covers everything, from what plugins and themes are and how to start using them, to more advanced development topics such as child themes and APIs. Why you should check it out: Since this is an official resource, the Codex is highly accurate and current. The way it presents information can be a little dry. However, it’s a good first stop whenever you have a question about the platform or need a guide. How to get started: If you’re new to WordPress, the Codex offers an excellent getting started guide. More advanced users may be interested in the wide variety of lessons and tutorials available. What it is: If you’re looking for an official educational resource that’s a little more engaging than the Codex, you can check out WordPress.tv. This website is devoted to videos of talks and lectures from various WordCamps and similar events. What you can learn there: This resource offers advice and information for moderate to advanced users. You can learn about WordPress design, development, and optimization, as well as catch up on the latest trends and technologies. Why you should check it out: WordPress.tv goes beyond simple how-to guides, providing real-world information and instruction. It’s not the best resource for absolute beginners. However, it is useful for anyone wanting to build better websites, learn about the latest happenings, and get involved in development. How to get started: Every year, WordPress puts out a State of the Word address, which is worth watching. For more practical advice, check out Marija Zaric’s talk on creating small business websites. What it is: The only resource on our list that’s not WordPress-specific, Skillshare is a website that hosts online courses. For a small fee, you get access to thousands of video-based classes on a range of topics, including approximately 600 that are specific to WordPress. What you can learn there: The WordPress courses on Skillshare are aimed at beginner to moderate-level users. You can learn about WordPress basics, for example, or get started with development. Plus, you can find specific tutorials on Search Engine Optimization (SEO), building an e-commerce website, and more. Why you should check it out: There’s a diverse range of courses on offer, covering nearly any topic you might be interested in. Many span several hours, and some provide supplemental materials and even sample projects you can try on your own. How to get started: To take your WordPress knowledge to the next level, try out the course on creating a WordPress theme. Or, check out the class on monetizing your blog. What it is: WPSessions offers both ‘sessions’ (recorded presentations by WordPress experts), and comprehensive courses on a few key topics. Some of the content is free, but you’ll need to pay a fee to access everything. What you can learn there: Most of the sessions and courses on this site focus on more advanced, development-related topics, such as the WP-CLI, coding, and databases. However, you can also find more basic advice about building certain types of websites. 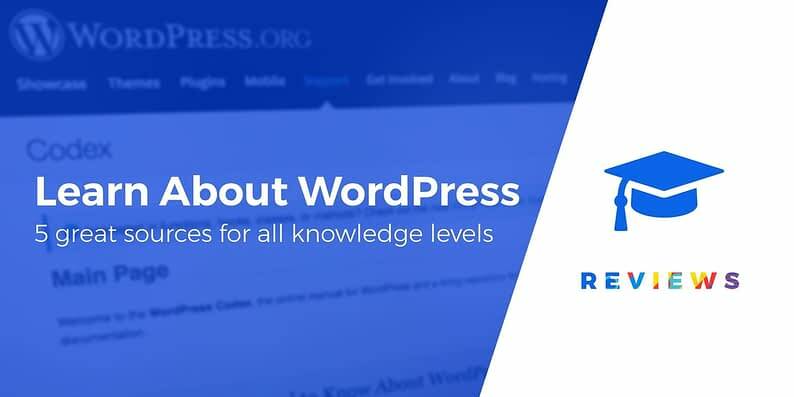 Why you should check it out: The resources on WPSessions will provide a solid introduction to higher-level WordPress topics. If you want to learn how to create your own themes and plugins, or just fully optimize your website, you can find useful instruction here (if you’re willing to invest both the time and money required). How to get started: If you’re looking for some down-to-earth advice you can implement quickly, there’s a free session on content creation you may want to try. There’s also a comprehensive course that will teach you how to create your first WordPress plugin. What it is: While we don’t want to brag, we think our own blog is a great place to learn about WordPress. We post regularly on a wide variety of WordPress-related topics, as well as provide a range of handy tutorials. What you can learn there: Our blog is welcoming to WordPress users at all levels – from total beginners to experienced veterans. We demonstrate how to optimize your website in various ways, show you how to use plugins and other tools to add specific features, and offer general advice for running a successful site. Why you should check it out: We post new content regularly and have a comprehensive archive of older posts. 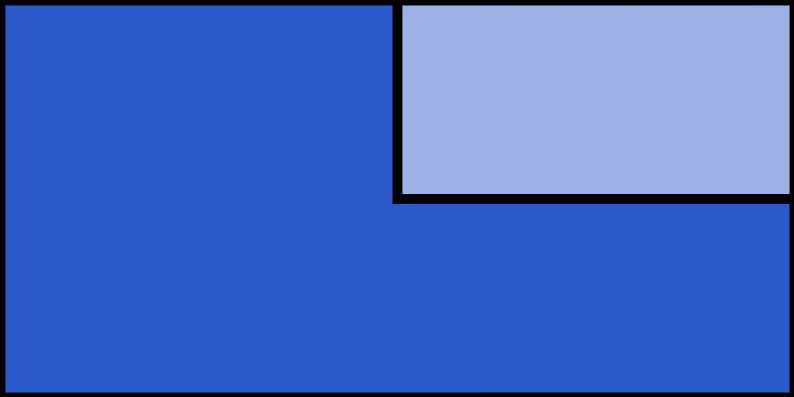 So no matter what you want to do or learn about, it’s likely we have a tutorial or opinion piece on the topic. Plus, all of these resources are completely free! How to get started: Security is vital on any WordPress website, so you’re likely to benefit from reading our post on safeguarding your site. If you’re looking to save yourself some time, you may also want to check out our list of ways you can automate WordPress tasks. WordPress is a complex platform, but don’t let that intimidate you. Instead, you can look at that fact as an opportunity. No matter how much (or how little) experience you have, there’s always more to learn. 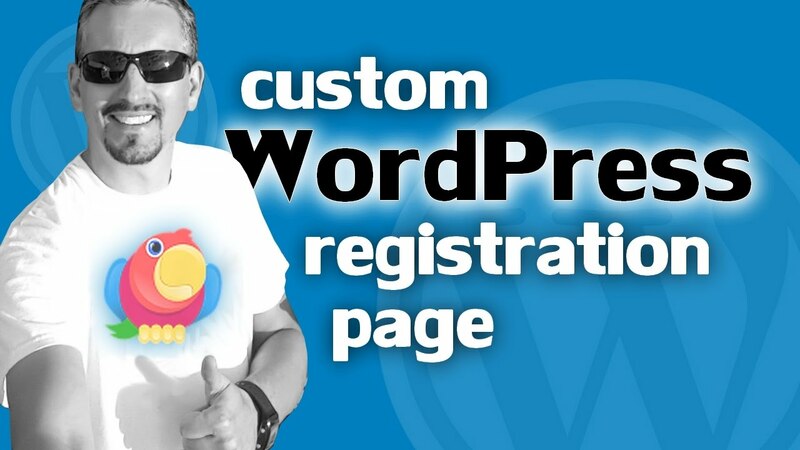 What’s more, you can immediately apply your newly-acquired WordPress knowledge to make your site even better. The WordPress Codex: Includes basic information and instruction on almost anything WordPress related. WordPress.tv: Hosts videos of lectures from various WordPress experts. Skillshare: Includes structured video courses on beginner to moderate-level topics. WPSessions: Provides in-depth instruction on some basic but mostly higher-level topics. The ThemeIsle Blog: Offers tutorials and reviews for WordPress users of all skill levels. Do you have any other favorite places to learn about WordPress? Share them with us in the comments section below!